I don't bake, but I'd definitely buy these and take them to a party. I could run in and scream, "Is there room in the freezer?! They're DYING!!!!!" Now that would set the tone for a par-tay. My only criticism of these cookies is that the snowmen need more horrified looks on their faces. If I start melting, you can bet your bippy that I'll be sporting a look of terror. 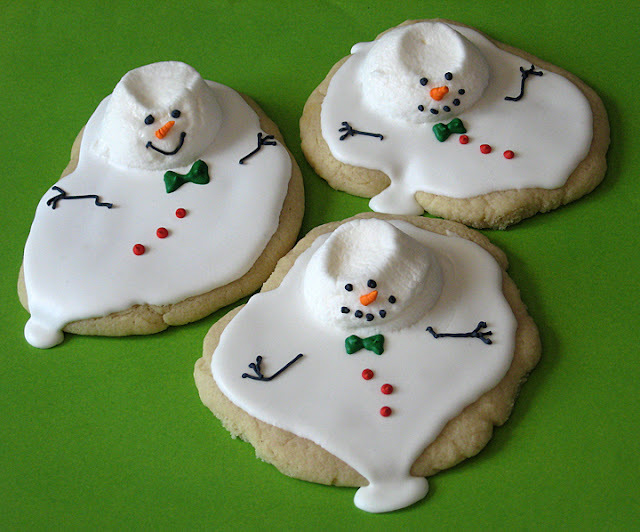 Silly snowmen. Check out the recipe here.